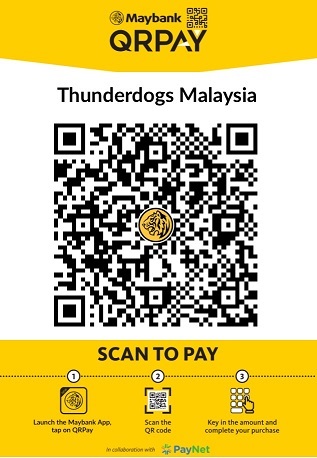 IS YOUR DOG A THUNDERDOG??? IS YOUR DOG TAGGED? IN RECENT TIMES, there has been an alarming rate of posts on Facebook, Petfinder, Twitter etc about pet dogs that have gone missing or been found by concerned citizens. Those that are more fortunate and internet savvy may be re-united. But a large number of animals are un-claimed because the owners do not know how to look for them, and the rescuers have no way of contacting the owners. So I thought I would just highlight the importance of having dog-tags for your poochies, especially since Chinese New Year is just round the corner. The fireworks and festivities can scare your dog or cat and cause it to try and escape. 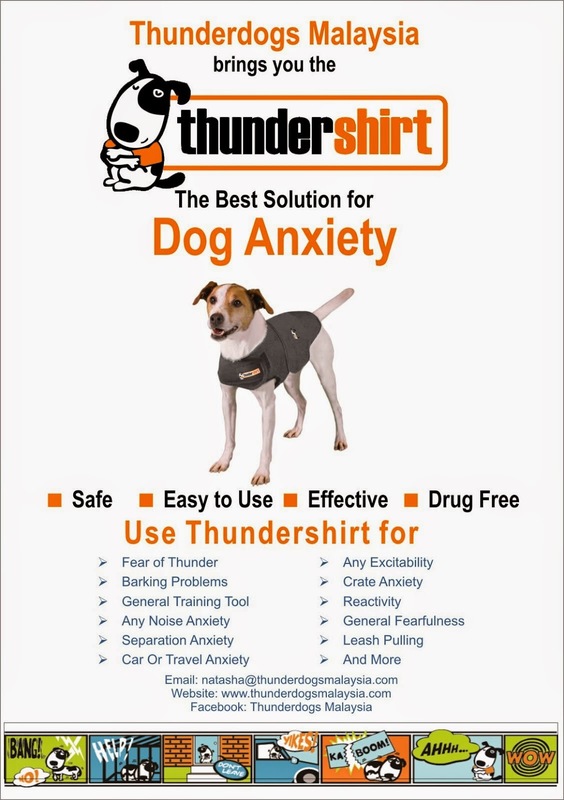 Ensure that your dog is in his Thundershirt at least about an hour before your guests arrive and before the fireworks start to help keep them calm. I don't normally advocate chaining or caging your dog, but please keep your dog or cat in a safe enclosure, caged or chained during the festivities. This is to prevent your dog or cat from getting lost! Make sure your dog has a collar with an ID tag and/or your local council license. This can help reunite your dog and you should your dog accidentally escape and is unable to find his way home. The most important piece of information to include on the pet-id tag is your phone number. So where can you get these id tags? We got ours from Furrenz.com. There are quite a few styles available for a reasonable price. Service is efficient and delivery, prompt. But at the end of the day, please make sure that you take extra care when opening gates especially if you have auto-gates to ensure that your beloved pets do not accidentally run out. Also check your fences periodically to ensure that there are no holes etc from which your pet can squeeze out. And also please be careful when walking your pets. Ensure that your harnesses and collars and leashes are secure.